My fiancé and I are still in the very early stages of wedding planning, but we have started doing a few things. Basically all we've done is make a lot of boards on Pinterest and add a lot of pins! Most of my time has been focused on applying for jobs since I was pink slipped, but when I need to take my mind off of that I like to escape to Pinterest. Jerry: I hope you don't want any burlap at the wedding. I'm seeing a lot of it. Jerry: I pinned something with jars, but it is an article about all sorts of DIY ideas. Jerry: Thank goodness. Some of that stuff is pretty ridiculous. 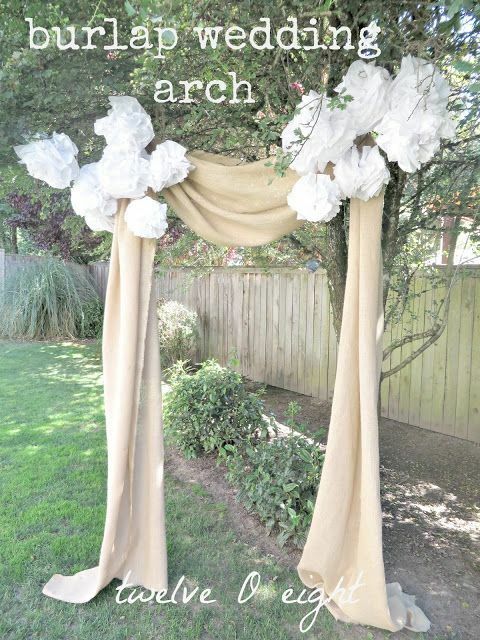 WTF does burlap have to do with a wedding? Unless you're Amish. Me: It's the whole country look. It's right up there with your other favorite: dresses & cowboy boots. I can't stand the poems. 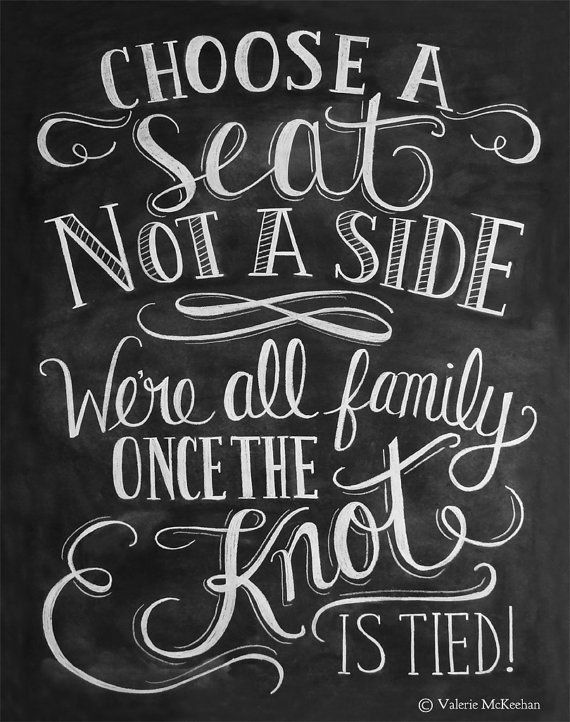 "Choose a seat not a side, we're all family once the knot is tied!" What? No. Here's my sign: "You're an adult, go find your seat and sit down. If you need a poem to help you sit down, you're at the wrong wedding." Jerry: Oh, sounds delightful. That is perfect as well as so us, we should have that as a sign. Me: "Here's your cup for the rest of the night, fill it up with whatever tastes right!" How about, "This is a cup, if you're thirsty put a drink in it"? Create an activity book for the plethora of small kids who attend the wedding. Or just leave your small kids at home. They don't want to come to a wedding. I may or may not start a list of all the things you won't be seeing at our wedding. *The rhyming crap is almost always written on a chalkboard.